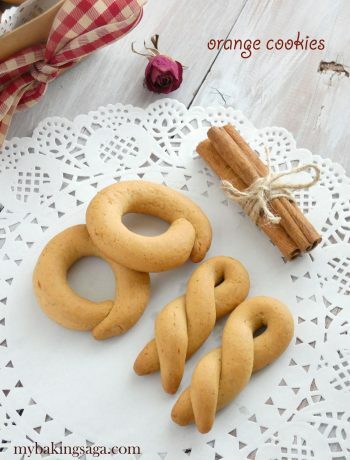 Koulourakia are traditional Greek cookies which along with tsourekia are the “trademark” of Greek Orthodox Easter. The week before Easter every family ( or almost every family nowadays) is preparing koulourakia and tsourekia and this is a way of getting in the mood of these Holy days. 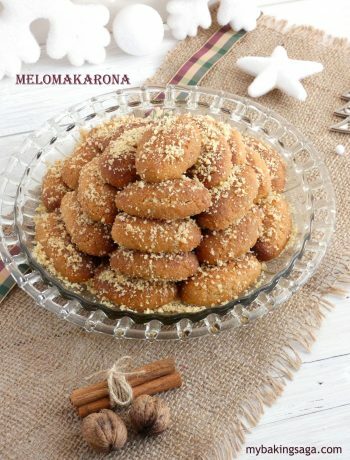 Koulourakia are vanilla and orange scented cookies, crispy outside and soft inside, not overly sweet but full in flavor. Even if it is an Easter custom for us, these cookies are perfect for every occasion. They are perfect for breakfast or with a cup of coffee and totally addictive! 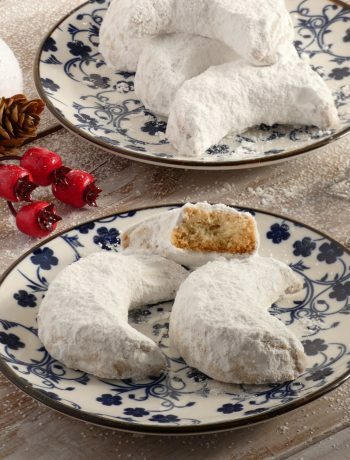 Making the dough is easy but it takes time to shape and bake the koulourakia. This recipe makes about 100-120 pieces so you can imagine that time is necessary. Shaping the koulourakia is also easy and fun at the same time. Take small pieces of the dough, roll each piece to a rope ( 6-7mm diameter ) and shape it as you like. You can twist it, you can braid it, you can swirl it. 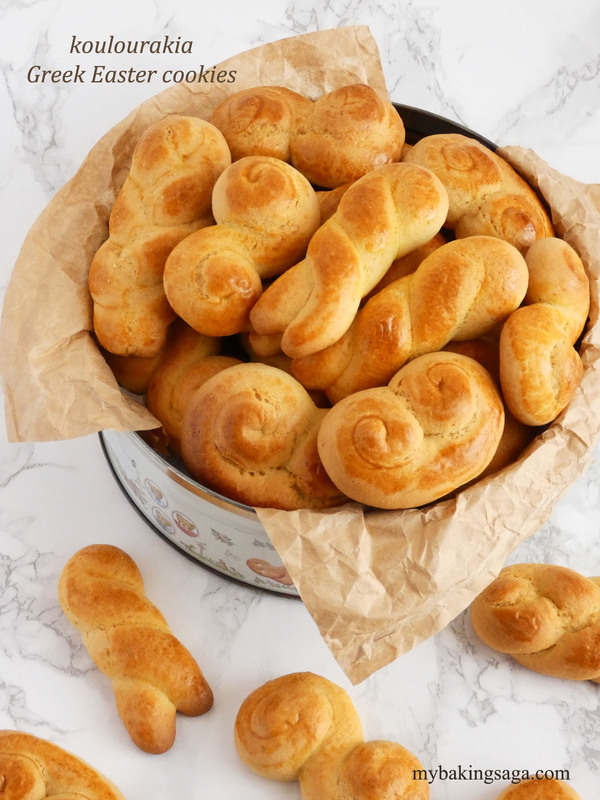 See the photos for the classic shapes of Greek koulourakia and I think you will understand how to shape them. I use two baking sheets lined with parchment paper so when the one is in the oven I have the time to shape the cookies for the other and this way I bake the one after the other without delay. I can’t bake two at the same time in my oven that’s why I do it this way. If you can bake two at the same time you can use four baking sheets. In classic Greek koulourakia we use baking ammonia as leavening agent. It is part of the tradition since it is not used often nowadays. In fact is the only recipe that I use it. Baking ammonia or baker’s ammonia or ammonium bicarbonate can be found in food stores and is used for increasing the volume of baked goods (be careful and not confuse baking ammonia with the regular ammonia that is used for cleaning and of course is poisonous). If you can’t find baking ammonia you can substitute it with baking powder. However baking ammonia gives crispiness to the cookies that baking powder doesn’t. In the mixer bowl cream margarine for about 5 minutes. Slowly add sugar and continue beating until fluffy and light. Add the eggs one at a time and continue beating until well combined and light in color. In another bowl mix together milk, orange juice, zest, salt, vanilla extract, baking powder and baking ammonia. Add 5 tablespoons of the flour to the eggs mixture, beat to incorporate and stop beating. Slowly add the milk mixture to the egg mixture using a spatula until well combined. Mix in the sifted flour one handful at a time. At first you can mix with a spatula but at the end you should use your hands. The dough should be smooth, soft and not sticky. Take a small amount of it and try to shape it to a koulouraki. If it can be shaped it is ok. If not add a little more flour. Cover the bowl with a plastic wrap and let it stand at room temperature for 30 minutes. 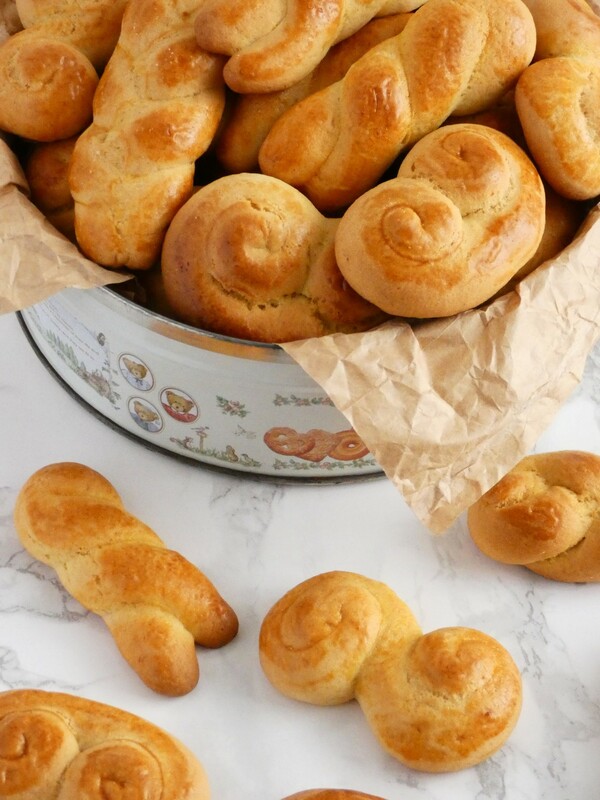 Take small amounts of dough and shape the koulourakia. 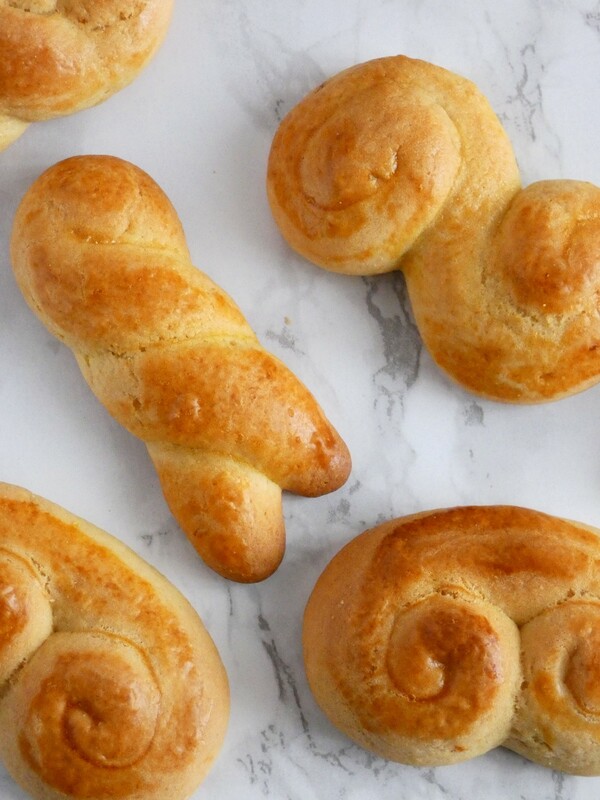 Place the koulourakia on the baking sheet. Brush with egg wash and bake for 20 minutes until golden brown.